- Finish: Polished Honed Machine Cut Bush Hammered Sandblasted Etc. 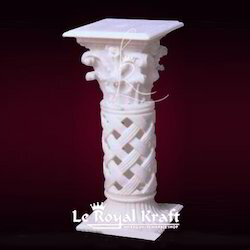 - Suitable for decorating purpose in gardens area, temple, etc. With our best knowledge of this domain, we are actively engaged in providing an excellent quality and designs different range of Stone Pillars. An upright pillar, typically cylindrical, supporting an arch, entablature, or other structure. Being a quality conscious firm, we are offering a quality approved array of Stone Pillar. 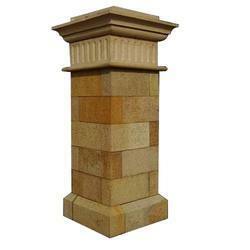 The Stone Pillar we offer is widely demanded for its availability in various sizes and designs. These products are made by using quality material which is sourced from leading vendors of the industry. Owing to our in-depth knowledge in this domain, we are specialized in providing Garden Stone Pillar.